Employers in the healthcare sector in Germany are looking to hire more Filipinos, it has been announced. The Philippine Overseas Employment Administration (POEA) said that at least 400 nurses from the Philippines are now being recruited, and qualified candidates can expect to receive a minimum salary of approximately €1,900 (Dh8,000) per month. The positions are available through Germany’s Triple Win Project, a programme that seeks to hire suitable candidates for vacant positions in Germany on behalf of employers.According to a statement from POEA, the visa and airfare of hired applicants will be shouldered by the employer. Applicants must be a Filipino citizen with Bachelor of Science in Nursing, active Philippine Nursing license and at least two years related professional experience (bedside) in hospitals, rehabilitation centres and/ or care institutions. Those with German language proficiency, or B1 or B2 language proficiency level, are preferred. However, applicants can also opt to undergo a German language training in the Philippines to attain Level B1 proficiency, to be paid by the employer. The language training classes will be held in October and November 2018. 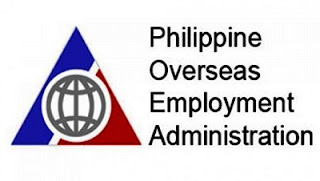 Jobseekers are required to register online at www.eregister.poea.gov and also personally submit the required documents at the German Federal Employment Agency office (formerly POEA building) in Mandaluyong City, Philippines. Applications can also be submitted to the POEA central office in Cebu by August 17, 2018, or other POEA regional offices by August 14, 2018. Only last month, Saudi Arabia’s Ministry of Health was looking to hire 1,000 specialist nurses from the Philippines.